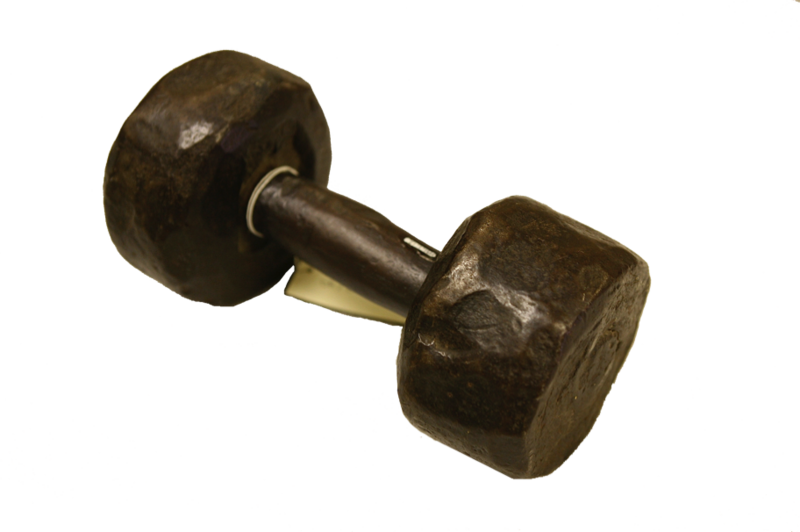 Did you know that General George Armstrong Custer lifted a dumbbell for exercise? If he lifted a dumbbell then why wasn’t he named Strongarm instead of Armstrong? Could he have been dyslexic? 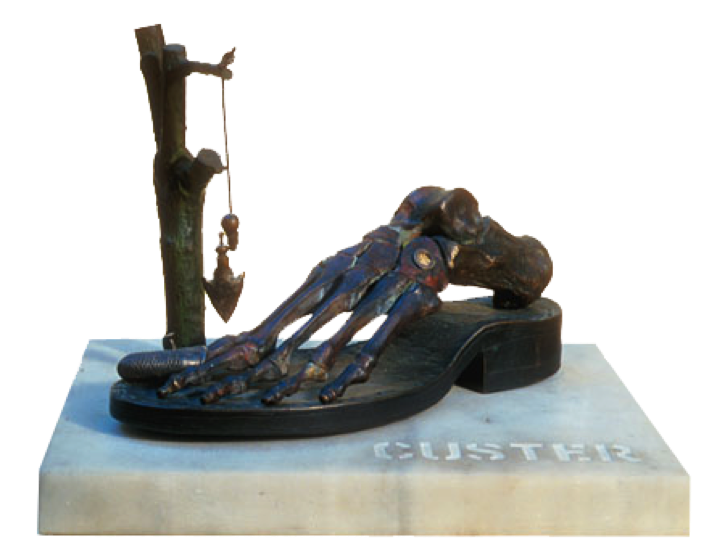 Did you know that the last survivor of Custer’s Last stand, Comanche, is stuffed and on display at the Kansas University museum in Lawrence, Kansas? 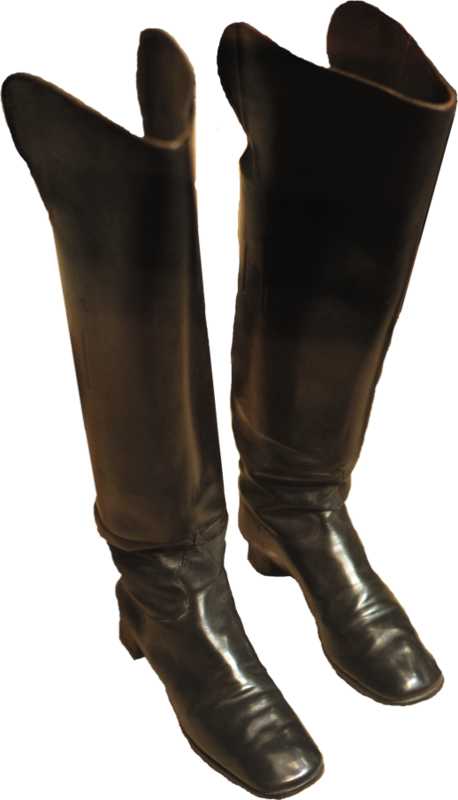 Or that Custer’s boots are in the Kansas State Historical Society Museum in Topeka? For even more see the DeRudio Page. Cartridge cases - 45-70 cal. 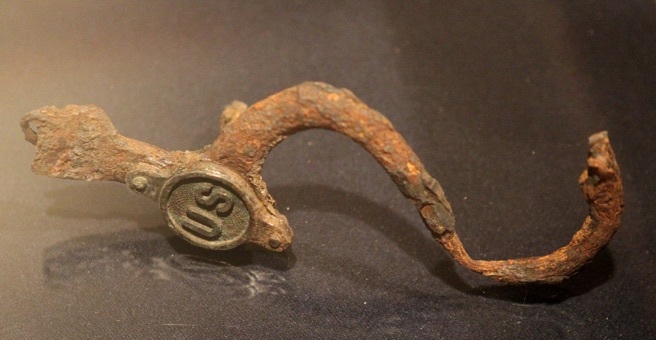 rifle - Found at Little Bighorn Battlefield. A never used Unknown Indian Grave marker, Little Bighorn Battlefield. 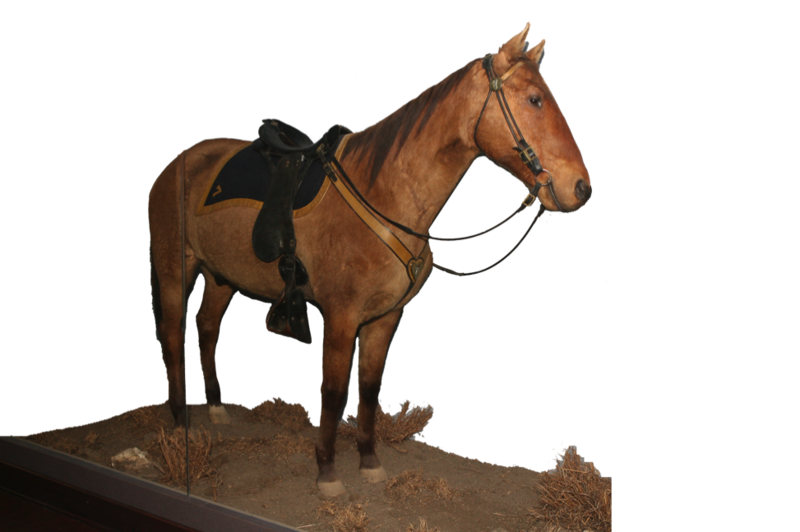 Comanche, the only horse to survive the Battle of The Little Bighorn. 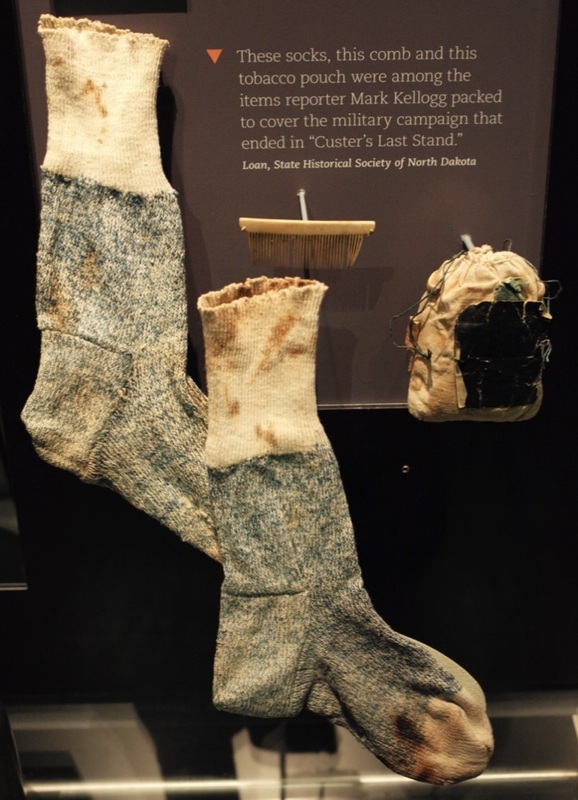 Collection of Kansas State Historical Society Museum. 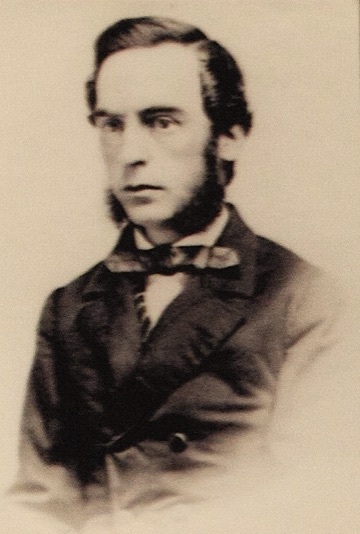 Mark Kellogg, a reporter for the Bismark Tribune, was killed in 1876 along with Custer and all his troops while covering the battle at the Little Bighorn River. He seemed to realize their pending fate when in his final dispatch he wrote, "By the time this reaches you we will have met and fought the red devils, with what result remains to be seen. 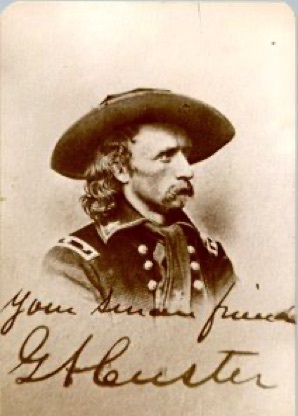 I go with Custer and will be at the death." 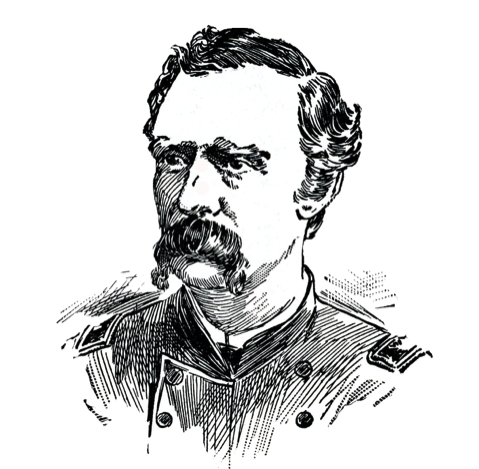 1st Lt. Count Charles DeRudio. and the Newseum, Washington, D.C.